Medigap plans are standardized plans lettered “A” through “N”. Click on the PDF link below to see a table summarizing these standardized Medigap plans, which are available for enrollment. UPDATE: 2015 FIGURES: K $4,940 and L $2,470. Not all Medigap policies may be available in your state, but when you enter your zip code into our quote engine, plans that are not available in your area will automatically be filtered out. Which Plan Should I Select? Now it’s time for you to learn the best way to find the Medigap plan that’s right for you. Our suggestion is to weigh your monthly budget, your current needs, and more importantly future needs, before you choose a Medigap plan. By far the most popular plan is the plan that covers the most: Medigap Plan F. This plan covers everything that Medigap covers, but as you guessed it, it’s the most expensive Medigap plan. If this plan is not within your budget there are options, including a Medigap Plan F with a high deductible. Visit our How to Select a Medigap Plan page to learn how. 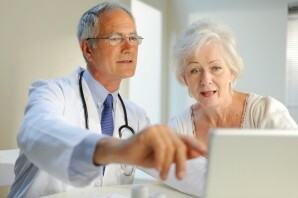 You can also visit our new site www.senior65.com that clearly shows what Medigap benefits go with each plan. Or if you’d prefer, you can move right into getting some quotes by visiting our senior quote engine.